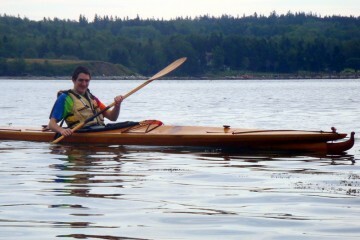 An 18-1/2 foot by 26 inch double kayak for day tripping and over night camping trips. 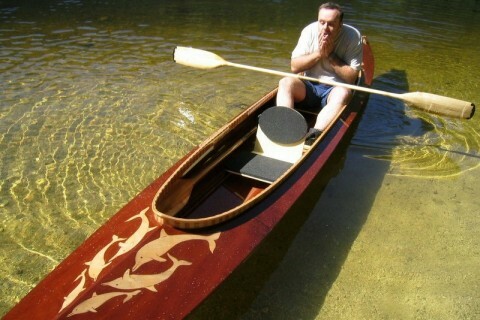 This single large cockpit version is great for flexibility of use in calm or protected waters. The Eider is intended as a relatively compact double for day-tripping. 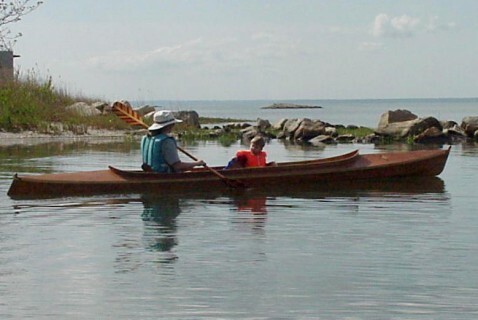 She is narrower and shorter than most boats on the market for maneuverability and light weight but retains a long waterline for speed and ease of paddling. 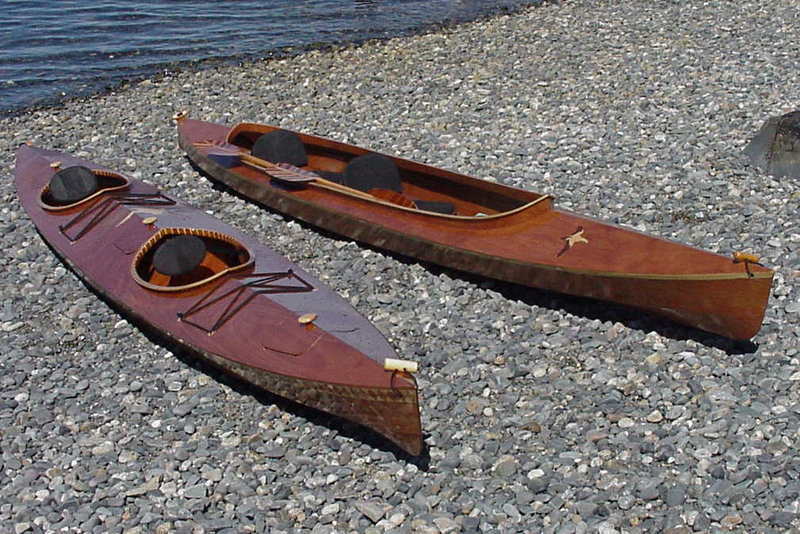 A nimble double kayak. 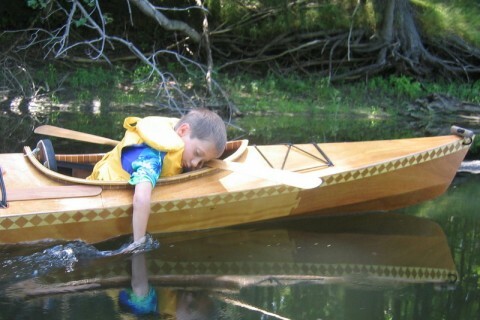 The Eider is designed to be a family day boat. 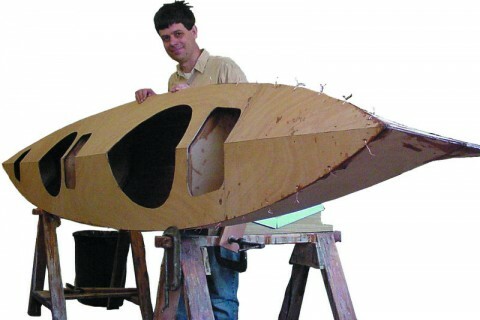 As an open cockpit boat it will be very flexible in its use, being able to carry a single paddler sitting in the middle, two sitting near the ends or combinations of adults, kids and dogs. The open version is designed to be used in calm, protected waters such as lakes, rivers and ocean coves. The double cockpit Eider is intended for day trips and overnight camping trips. She will have comfortable and fairly roomy cockpits which are far enough apart to avoid banging paddles. Eider plans include full size templates (tape the sheets together and mark your plywood by punching through the paper) and detailed easy to follow instructions. This boat uses stitch and glue construction and can be assembled in about 110 hour of work.